“Go to your room and study!” This is a phrase many parents tell their teens on a nightly basis with hopes that they are going to march up to their rooms, crack open a book, and pour over the materials they learned in school that day. Much to their chagrin, when they go to check on them, they find them surfing the web, taking a nap, or texting. For many parents, the study habits of high school students are frustrating at best and disturbing at worst. Many parents find themselves at wit’s end trying to get their high school student to be successful in the area of studying. There is hope. Teens don’t know what to do. The problem is not necessarily one of motivation. For many high school students, they never learned how they best study; therefore, they do not know what to do beyond the five minutes they spend skimming through their textbooks. Hopefully, by providing some useful tips for teachers and strategies for parents at home, the problem of poor study habits of high school students will be on the decline. Why poor study skills exist. High school students have poor study habits in general because there has been little done to require good study habits. Educational standards are on the rise, and there have been so many requirements on teachers’ success, that they have learned how to make students successful on standardized tests without requiring them to learn how to acquire information on their own. For most high school students, if given a standardized test that has facts and information that they have been indoctrinated with in class, they will be successful with little studying required. They may even know how to read a passage and find the right answer according to the test they are taking. Discrepancies and concerns are seen, however, when they take a national standardized test with a different format from their state test. A student who receives high, commendation marks on their state test may not even rank in the twenty-fifth percentile nationally. As parents and teachers, this problem needs to be addressed. Teachers have been forced in many ways to subscribe to this teaching methodology because it produces results on paper. What it does not do is produce students who will be global learners who seek to discover information through proper channels. Teaching the basic study skills to students will improve their poor study habits when required to be implemented. The first and best requirement is to make students stay organized by keeping a planner that is graded. There are so many distractions from school that are far more interesting to students, so keeping up with their assignments is a must. When a planner is implemented and the student and parents both know it will be graded, there is a higher percentage of students who are successful. The most basic change in teaching style from a teacher-centered environment to a student-centered environment will improve the study skills of high school students the fastest. Students know teachers are going to give them everything that they need; often, this requires little more than regurgitation to be successful. Assignments such as multi-genre projects, independent and group research, multi-part segmented assignments, require students to press into a subject and discover information on their own, as opposed to, robotically reproducing an answer that requires no work to find. Teachers must empower their students to be successful learners with assistance only coming after effort was put forth on the part of the student. For parents, you can start by having a required “study time” for your student every night whether or not they have actual homework. Set aside a time where you can monitor this time and be of help if the need arises. Make study tools available for your student so they will feel empowered. Teachers have given them the basics of how to read, read for comprehension, work through problems, and such, but practice makes perfect. Get them workbooks and flashcards for advanced study beyond what they are doing in school. If they do not have homework, then have them work through an SAT book or do research on a subject or historical event. Students often learn how they study by trial and error, but if they never try after they fail, then they will never truly learn how they study. 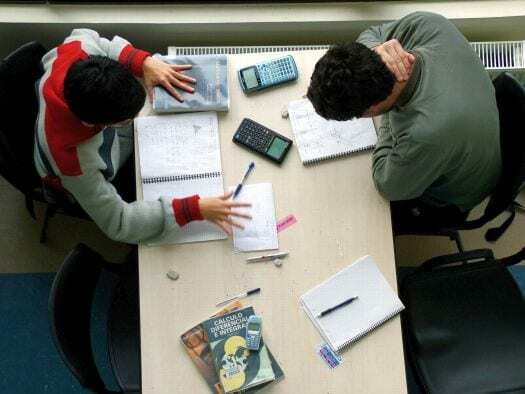 There is not set formula, but a good start for improving the study habits of high school students is to let them know that it is an important part of their education and a non-negotiable.